We want your views on how to develop family policies at the University. 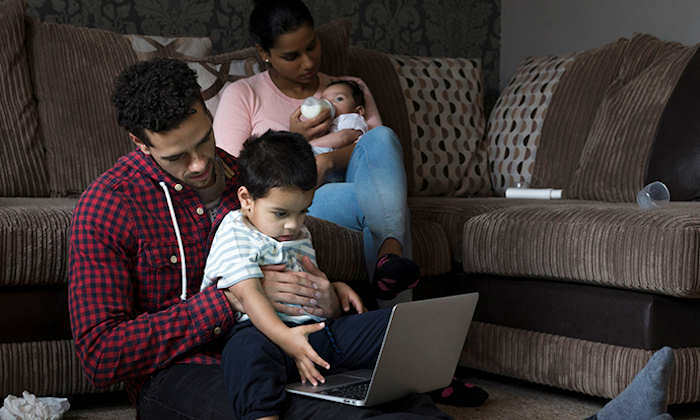 At the University we aim to offer leading policies and activities to support our working parents so that they can continue to work alongside their family commitments. signed the Working Forward Pledge to demonstrate our commitment to our working parents. It is the University’s aim to continue to develop all our policies, and we are now reviewing policies on maternity, adoption and shared parental leave – as well as additional support arrangements and initiatives. To ensure these policies reflect the views of working parents at the University you are encouraged to share your views on The Hive. The top three ideas submitted to The Hive will be collated by Gemma Dale, HR Policy and Engagement Manager, and discussed at the Working Families Group. To share your views, visit The Hive. The Hive is an online channel that allows staff to share ideas in response to a specific question or problem. You can access The Hive at any time using your University username and password, simply login at www.the-hive.manchester.ac.uk If you have not accessed the Hive before you may be asked to authenticate your email address. On The Hive you can submit your own ideas, or vote and comment on other peoples. The most popular ideas (based on likes and comments) will make their way to the top of the list. Share your views by clicking the 'Submit Idea' button. To comment, click on the idea and the comment box will appear below. To vote, click the upward pointing arrow on the right-hand side of the idea. For more information about accessing The Hive visit StaffNet.